A theory, yes, but maybe it’s the longest political mile you’ll ever run: follow me here if you dare. 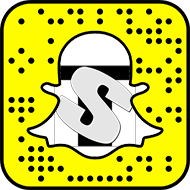 In the shower the other day – where all genius thought occurs – I had a stream-of-consciousness thought about irony. 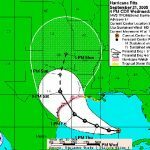 Picture it, July 8, 2005, and Hurricane Dennis is barreling toward the Gulf Coast of the U.S.A. Louisiana’s Governor, Kathleen Blanco, declares an emergency evacuation, closes/reverses traffic on Interstate 10 into New Orleans (no inbound traffic), and braces for the hurricane to hit; bravo, good job. Dennis misses New Orleans and hits near Panama City, Florida, instead. Fast forward to August 25, and T.S. Katrina – fresh off the west coast of Florida where she enjoyed dining on Mai Tai’s and a few tourists as a hurricane – once again becomes a hurricane. She’s angry. She grows to CAT5 strength almost overnight. By early morning August 27, she was the fourth most intense hurricane in the history of hurricane tracking. Now she wants more so she dances her way to the middle of Gulf then swings north. What is Blanco doing this time you ask? There in lies the crucial question. 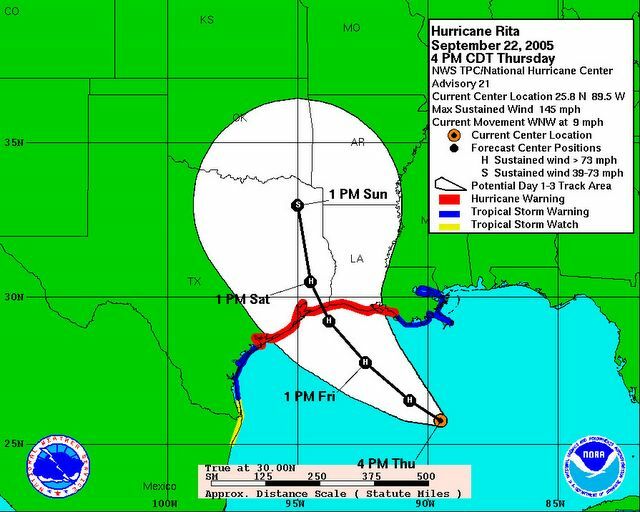 Many theories came out of the disaster which befel Louisiana when Katrina hit (and hit hard near CAT5 strength). Negligence to out-right incompotence were the buzz and enough finger pointing that you would have thought you were at a bird watchers convention. As he spoke, the city continued to flood and the school buses he refused to use were rendered useless. dysfunctional,” Brown told the panel of lawmakers, referring to Saturday, Aug.
27, two days before the storm slammed the Gulf Coast. So we go to round two of “Who’s To Blame”. 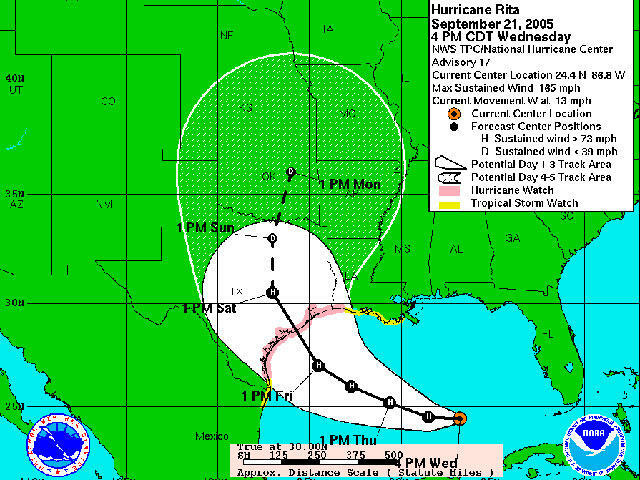 Hurricane Rita – Not A Drop! Not a drop! All we got was a drying 30-40mph wind. Now the air is hot and humid, the grass is brown, and there’s no end in sight to summer. LAFAYETTE, La. – Their homes are bursting with guests. Their schools are overwhelmed. Traffic has been at a standstill for three weeks since thousands of New Orleans hurricane evacuees arrived in search of shelter.But Lafayette, the capital of Cajun country, still knows how to party.Throngs turned out during the weekend for the opening days of the Festivals Acadiens, billed as the largest Cajun festival in the world, in a show of just what joie de vivre means. Here’s the latest…she’s still coming. On a personal note, this does not paint a pretty picture for my home and surroundings: there are only 2 trees within hundreds of yards of the house, 1 next to my parking spot, 1 next to my front window. Not good. We’ve gone through TS force winds before (70 mph) and the trees bent, lost leaves, but came back. If we get 80+ mph winds, I fear these trees won’t bounce back. Until tomorrow or next time. NOW it’s getting personal Mother Nature! 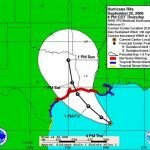 Hurricane Katrina was bad – it killed a thousand plus people, destroyed a few hundred miles of Gulf Coast, disrupted thousands of lives, spiked gas prices – but Hurricane Rita wants to pour salt in the wound and then some. This is definitely the year of the hurricane – 17 named storms so far and we have 6 more weeks left in the season! Some have suggested the Russians and Japanese are in kahoots to make a weather machine to destroy America. O.K. We all know Hollywood is nuts about weather phenomina especially tornados and hurricanes, but a real-life, still-employed, meteorologist? What’s this world coming to.